"This is so hard," I thought. I pushed myself away from the table where I spent more than an hour trying to arrange things so I could see well enough to accomplish my task. I could feel the emotions bubbling up. I kept telling myself it was OK. I was not using my eye sight challenges as a crutch this time. I was just judging myself and feeling frustrated that it was taking me so long. Unable to stop the flood of emotions I flashed back to a similar incident after my first major eye surgery. I received a magnification tool I was told would make it possible for me to read again. I love to read and it had been months since I was able to read anything, I purchased a book just for this occasion. The therapist delivered the tool along with others that were helping me do my art. Just before she left she briefly explained how to use it. So excited I placed a chair outside under the big shade tree in the back yard. Eagerly I placed the magnifier to my eye and opened the book. I could not believe what I saw. All I could see was three words at a time. I burst into tears. How would I ever be able to read the book? By the time I got to the end of a sentence I could barely remember how it started. I wanted to throw the book and magnifier across the yard and quit. But, I had just given my mother a pep talk about not letting her macular degeneration stop her from going out with friends even if she could not read the menu. So, I picked up the book and magnifier and learned, over time, how to read a book three words at a time. As I contemplated this memory and its connection to my current situation I was puzzled. The sight challenges I have today are nowhere near as difficult. This challenge was not even as difficult as the one I had two years ago when I refused to live in" the limited land of I can't". I found a way to dial the phone so I could do my business when all I could see was a tiny bit above the gas bubble in my eye. Unwilling to be held back by something I cannot change right now I stood up, walked the floor of my office and made some strong declarations to myself and the universe. I made it clear I was not going to allow this or anything else to stop me no matter how long it took. I proceeded to tell my eyes how much I love them no matter what they do. They gave me many gifts. They taught me to stop living in a state of fear and worry. They helped me give up the need to control and gave me multiple opportunities to practice living in the joy of the present moment. And, they taught me how to love myself unconditionally. Because of the challenges they presented I created profitable businesses of my own. I began to let my light shine again from a place of pure self love and acceptance. I let them know how deeply grateful I was to them for those gifts. I made it clear no matter what my current conditions looked like I knew the truth. I am embodying the unconditional love of God and I will NOT settle for anything else. 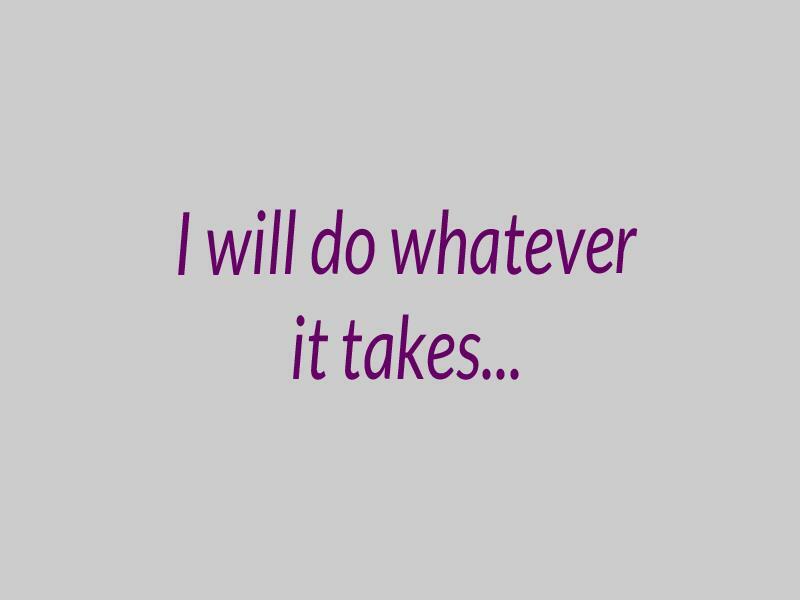 I will do whatever it takes to allow my light to shine no matter what. As I write these words so fresh from my experience today I do not have all the insights I am certain will come. I promise to share them with you when they do. For now I just want you to know how much I appreciate the opportunity to see well enough to write these words and your willingness to read them. I trust you will not allow any current condition in your life to hold you back from expressing your brilliant light. The world needs you and your light now.